TOP SELLER - We receive our duck products from Maple Leaf Farms in Indiana. Their ducks are raised on an all-natural diet of corn, wheat and soybeans. Maple Leaf ducks are not given any antibiotics, hormones, or steroids. 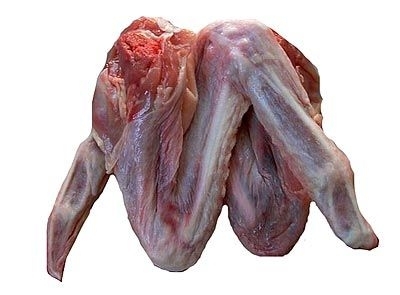 Duck wings consist of meat, bones, and skin. They are smaller in size when compared to a chicken wing. Use duck wings to balance out the diet your pet is on. Great option for small to medium dogs.